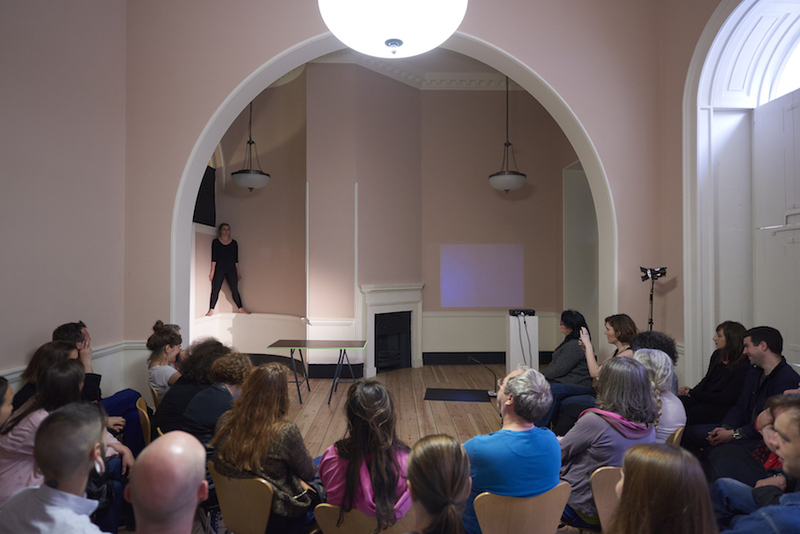 Florence Peake’s performance practice places drawing, painting and sculptural elements in relationship to the moving body. In this new commission, Voicings, Peake is working with the phenomenon of ‘channeling’ where a person embodies a spirit, entity or personality from another space-time. 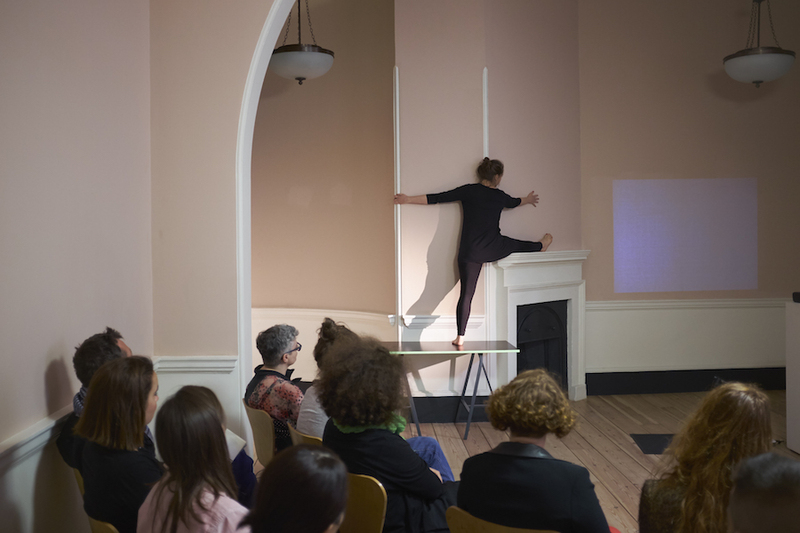 Referring to a vast open space that has all the answers, an infinite archive, or a storehouse of everything, this performative demonstration explores the boundaries of theatricality and physicality in the process of becoming a ‘channel’. Florence Peake is a London-based artist who has been making work since 1995. 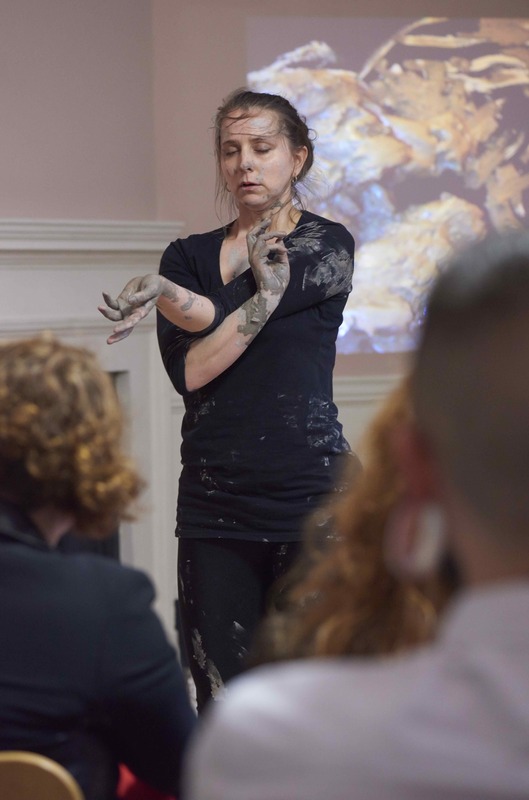 With an extensive training in dance and a background in painting, Florence Peake’s performance practice uses drawing, painting and sculpture materials combined with found and fabricated objects placed in relationship to the moving body. Site and audience, live and recorded text, wit and humour are key to her work. Recent work includes; Lay me down, NoTT Dance festival (2015) and Modern Art Oxford (2015), Swell the Thickening surface of at Hayward gallery (2014), MAKE at BALTIC (2013) and Yorkshire Sculpture Park (2012); REMAKE at Baltic 39 (2012) and the Lanchester Gallery (2012); Chorus; Swell the Thickening Surface of at Tintype (2013); Paper Portraits (2010) at the National Portrait Gallery. 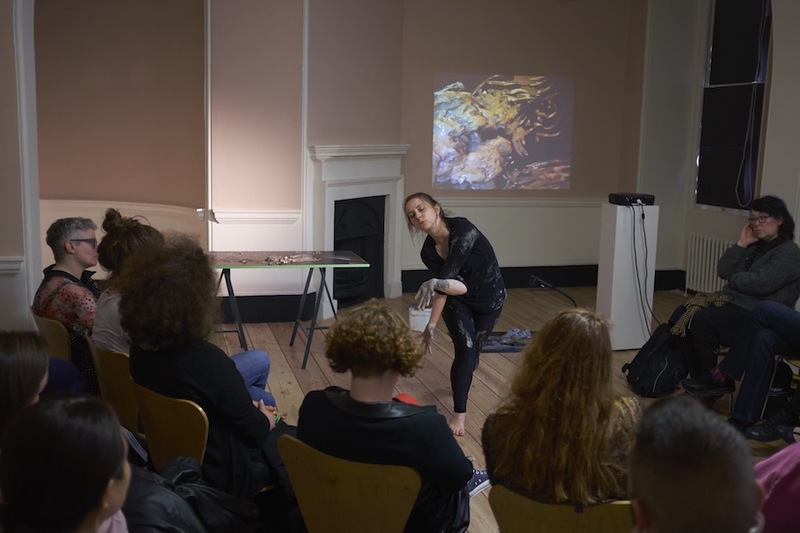 As a performer, Florence works with filmmakers, artists and choreographers, Joe Moran, Gaby Agis, Serena Korda, Nicola Conibere, Gary Stevens and touring with Station House Opera’s Roadmetal, Sweetbread. Florence lectures at the Universities of Surrey and Coventry. 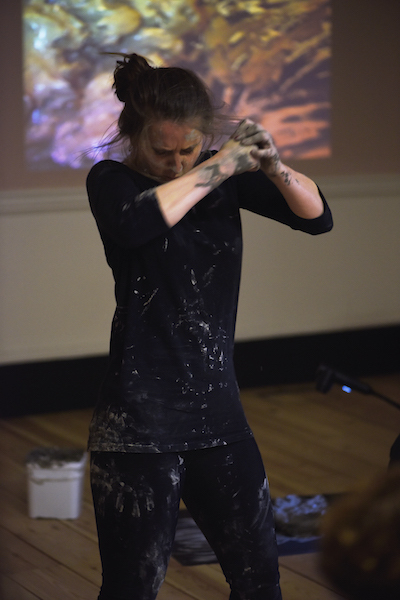 Florence is an Artsadmin Associate Artist 2012-15 and associate artist with Dance Art Foundation.